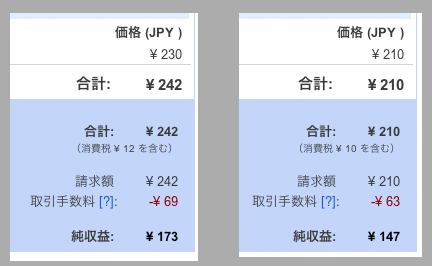 ちなみに、海外でも問題になっている模様 ⇒ Transaction fees calculated false from today on!!! We are aware of the reports of errors in transaction charges due to VAT-inclusive pricing and are working to resolve the issue. Once the problem is fixed, the correct amounts will be charged for VAT-inclusive purchases and we will reimburse any developers who have been impacted as soon as possible.